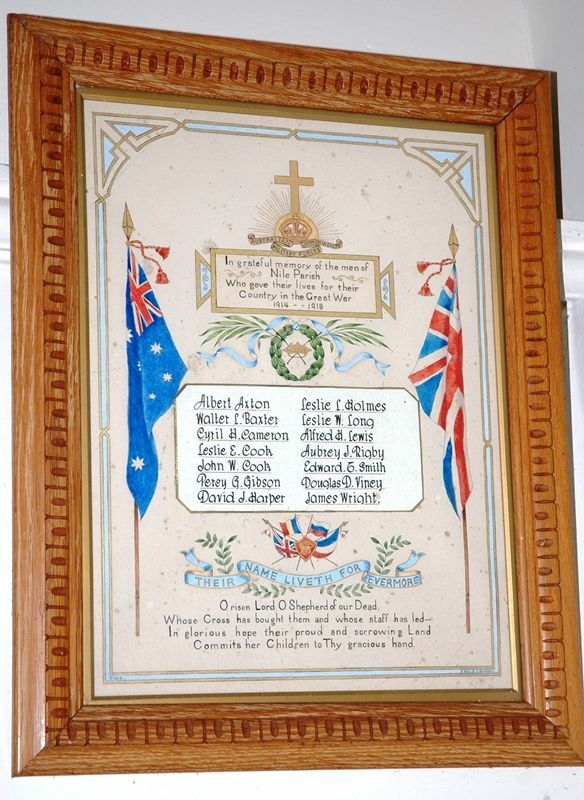 A framed paper honour roll commemorates those who died in service or were killed in action in World War One. The roll lists 14 names. O risen Lord, O shepherd of our dead whose cross has bought them and whose staff has led them. In glorious hope their proud and sorrowing land commits her children to thy gracious hand.